What MAD Architecture, Frank Gehry, Bjarke Ingels, MVRDV and other big names have planned for the year ahead. 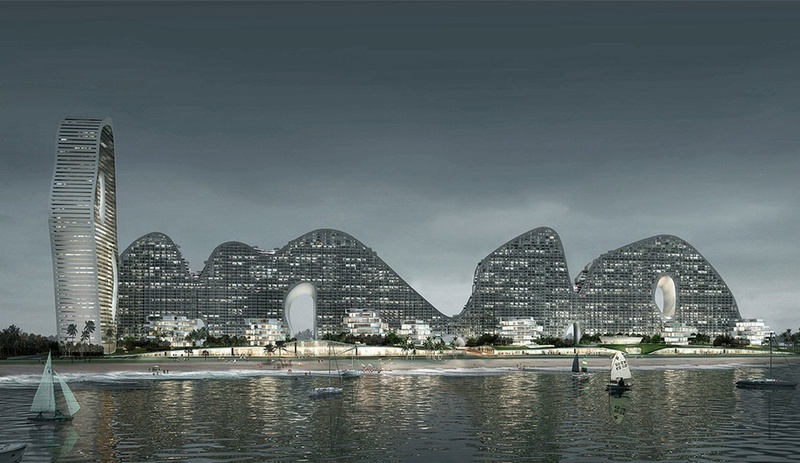 Ma Yansong, founder of MAD Architecture, dreams big. 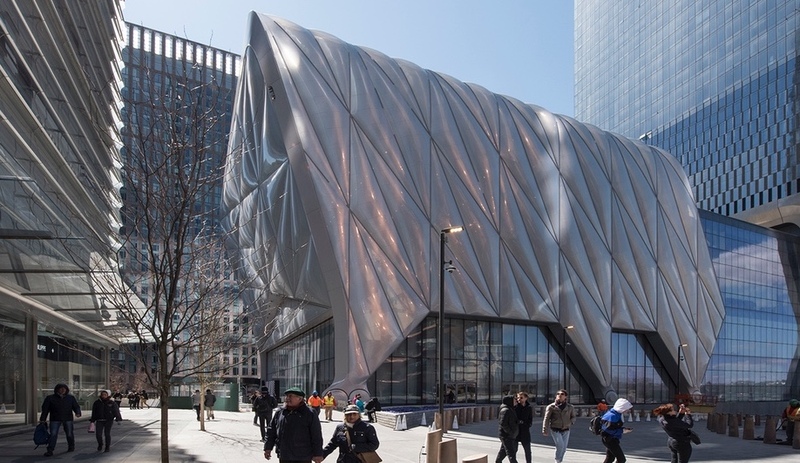 Although his firm is under 10 years old, it has already executed several major – and breathtaking – projects, including the curvaceous Absolute Towers in Mississauga, Ontario, and the spiralling China Wood Sculpture Museum in Harbin. 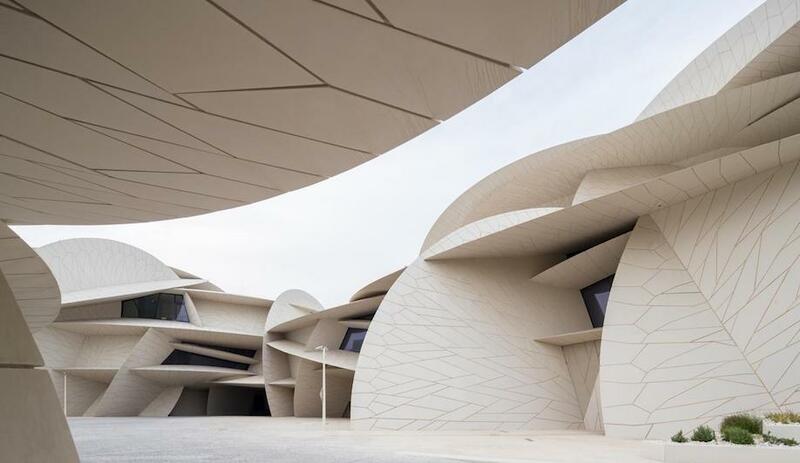 But even these don’t match the scope of his grander vision; in June, at the Shanshui City exhibition in Beijing, he presented concepts that combine architecture and landscape on a truly geologic scale, with undulating complexes the size of mountains. Fake Hills is the closest he or anyone else has come to reaching the scale of these formations, with its roller coaster-like cross section of hills punctured by huge apertures and topped with deck gardens. 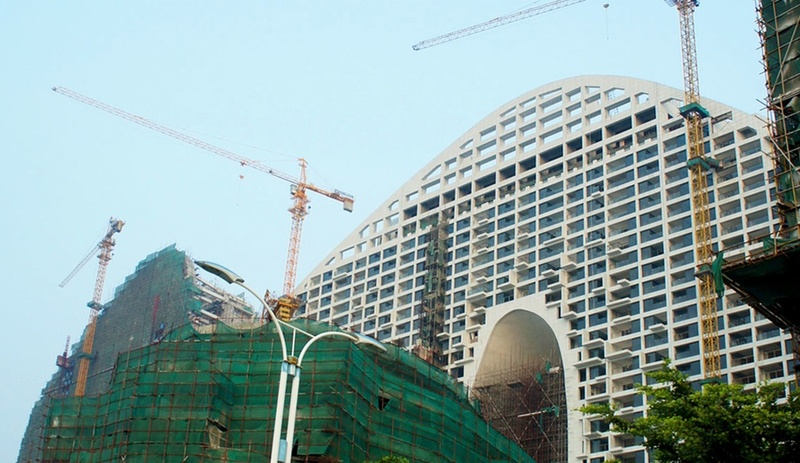 Adding nearly 50 hectares of residential space to the coastal city of Beihai, China, it’s an urban densification project in a class by itself. Construction is already well underway. We’re accustomed to seeing towers that taper towards the top. Bjarke Ingels’ design for a residential tower in Vancouver proposes the opposite, inserting a structure with rectangular top floors into a triangular footprint. 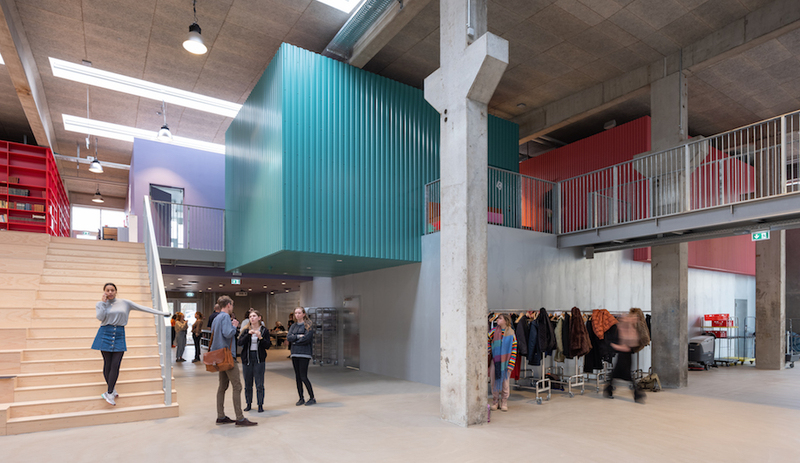 The building’s space is restricted by the nearby Granville Bridge, a major entry point into the city; correspondingly, the base of the structure is pared back to resemble a curtain drawn aside as if to welcome guests driving into the neighbourhood. At street level, a series of interventions nestled below the bridge ramps will add retail and culture spaces, making for a safer and more walkable vicinity. 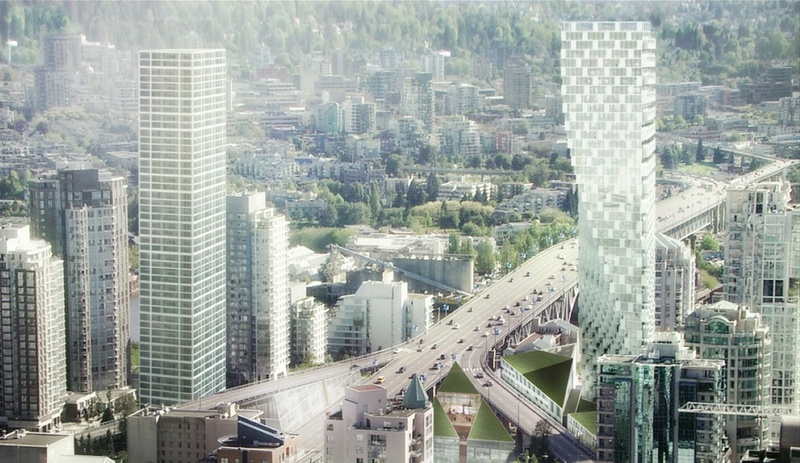 In December, Vancouver city council unanimously approved the 52-storey plan. 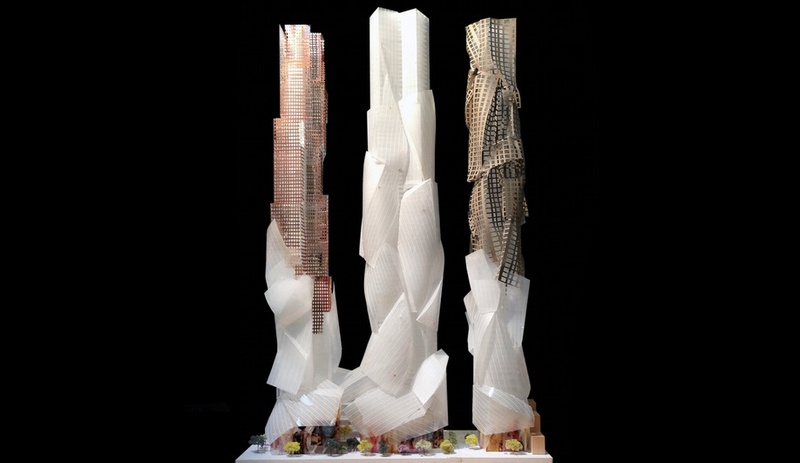 When Frank Gehry unveiled his plan for three sculptural condo towers on a busy stretch of Toronto’s King Street, the reaction was mixed. Few could deny the development would add some distinctive world-class architecture – and increased density – to the area, but critics voiced concerns about the future of the heritage buildings now on the site, and about the increased traffic on Toronto’s already-too-crowded sidewalks and strained transit system. The city’s counter-suggestion: reduce the towers, initially proposed at 82, 86 and 84 storeys, to 60, 55 and 50 storeys, more in line with the surrounding area. While some are hailing the suggestion as a path to making city council more likely to approve the plan, others lament it as another example of Toronto’s tendency to tone down ambitious architecture to the point of mediocrity – in fact, developer Projectcore has declared the pared-down plan unworkable. While the future of the development is in the hands of a specially convened panel, we’ll be watching closely to see how the story unfolds. 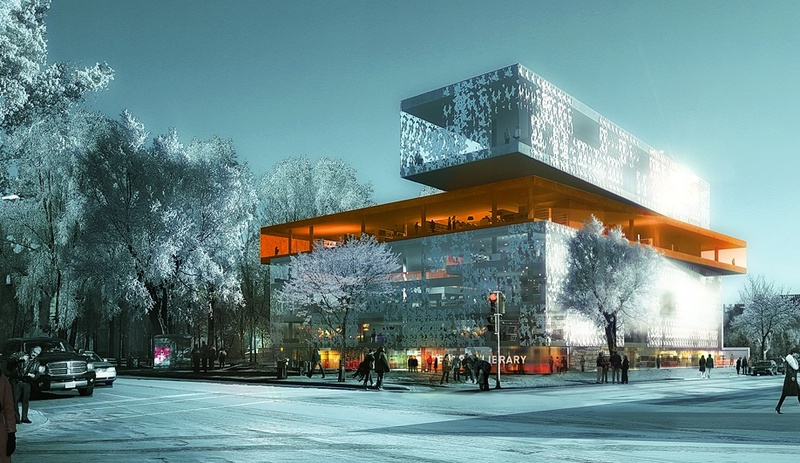 This promises to be a banner year for Oslo’s Snøhetta, which will have no fewer than 11 projects underway in the coming months, including the striking Barcode B.10.1 building on Oslo’s waterfront, and both the National September 11th Memorial Museum Pavilion and Phase 1 of the Times Square revamp in New York City. 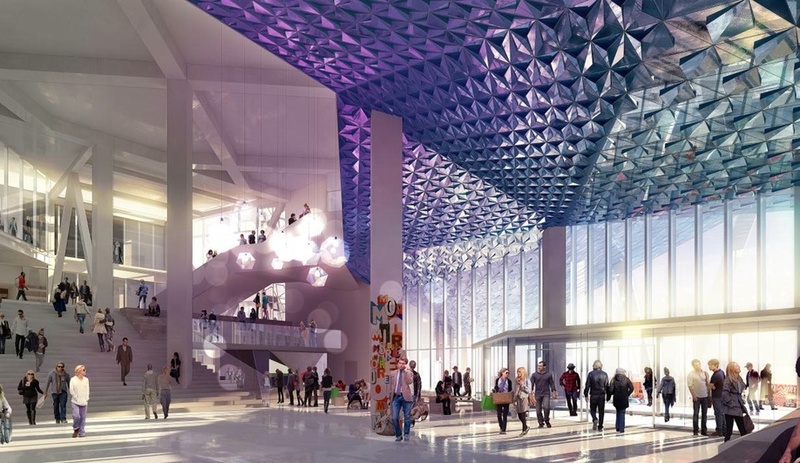 In Toronto, one of the downtown’s most crucial areas will be transformed by a glimmering Student Learning Centre – a capacious structure that not only provides new learning spaces for students, but also contributes a street-level retail concourse and more accessible atmosphere to the city’s central artery. 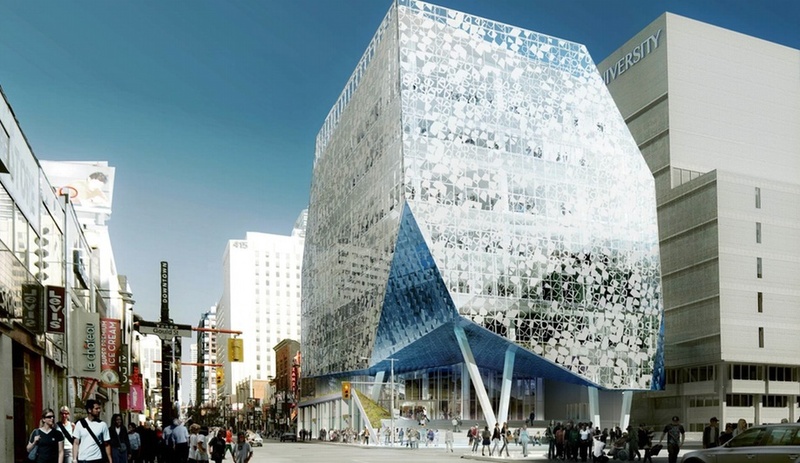 The project, co-designed with Toronto’s own Ziedler Partnership Architects, is on track to open for the 2014 fall semester. 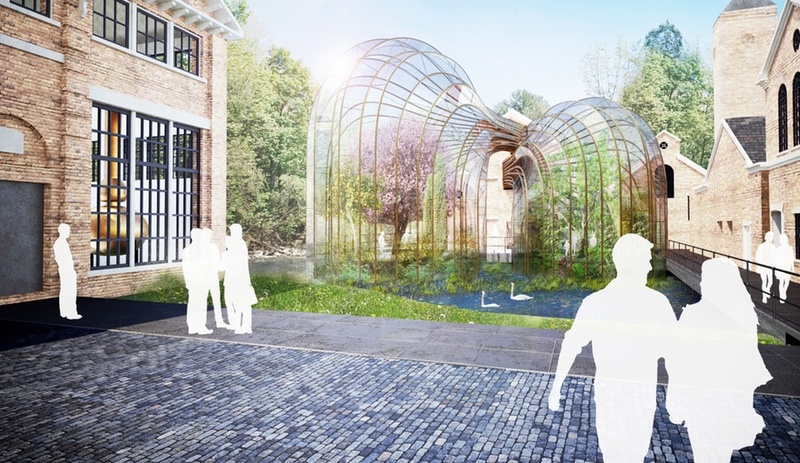 Opening in late spring, this former paper factory located in Hampshire, England, and dating from the 11th century, is in the final stages of its conversion into a Bombay Sapphire gin distillery and guest centre. 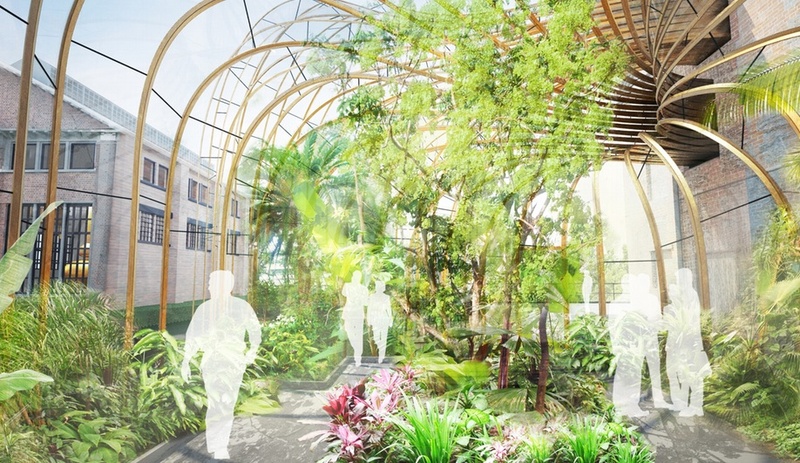 Its unmistakable centrepiece is a pair of sweeping glass structures designed by Heatherwick Studio – one with a tropical climate, the other Mediterranean – intended for the cultivation of the botanicals used in the distillation process, with alembic-inspired forms that mimic the shape of a traditional still. The new flagship library in central Halifax, designed by local firm FBM with Copenhagen-based Schmidt Hammer Lassen, represents a rare insertion of unapologetically contemporary architecture in a city known more for its charming seaside atmosphere than its forays into the avant-garde. 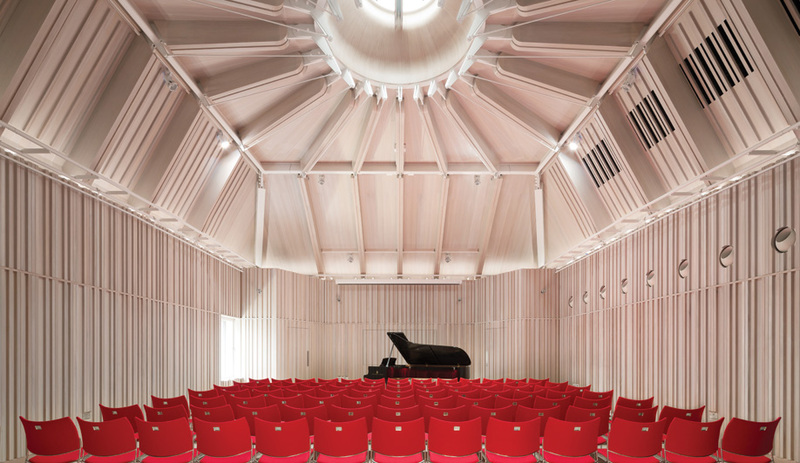 The four volumes that compose the structure – each with its own program – are intentionally misaligned to create dramatic cantilevers that line up with the pre-existing structures nearby. 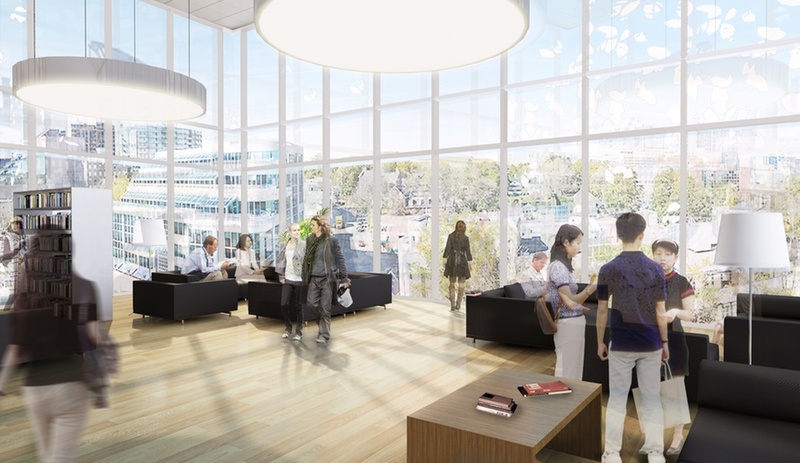 The fifth-floor living room will offer exquisite views of the historic Halifax harbour and Citadel Hill, the city’s most notable landmarks. The project is scheduled to open this May. 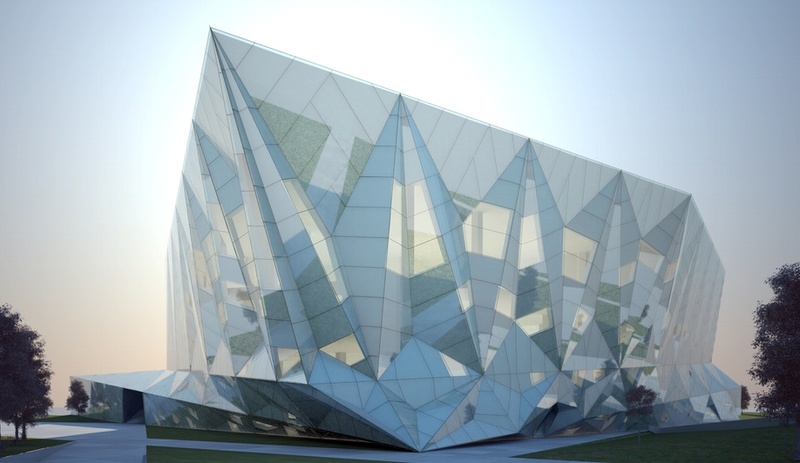 Hot on the success of 2011’s Tel Aviv Museum of Art, with its irregularly tessellated facades, Preston Scott Cohen has two notable projects under construction in Shanxi, China, both on the brink of completion: the Taiyuan Art Museum and the Datong Library (pictured above). 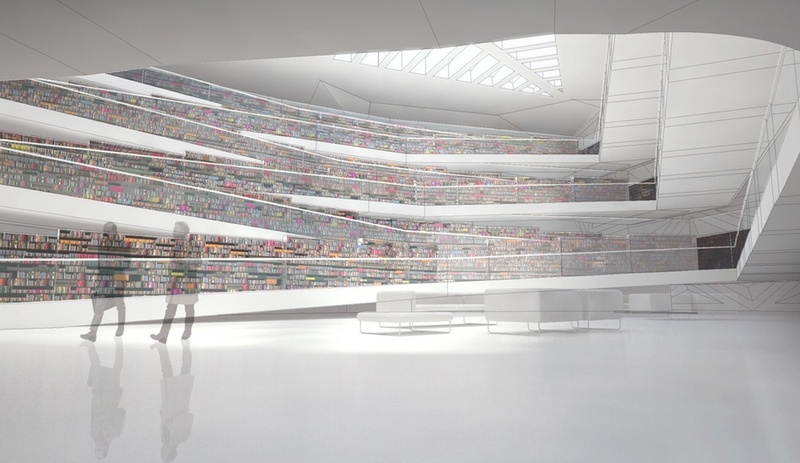 The library’s atrium features a shelf-lined ramp that winds its way up to a broad array of skylights, a feature whose weightiness is balanced on the exterior by an enclosed courtyard of proportional dimensions. 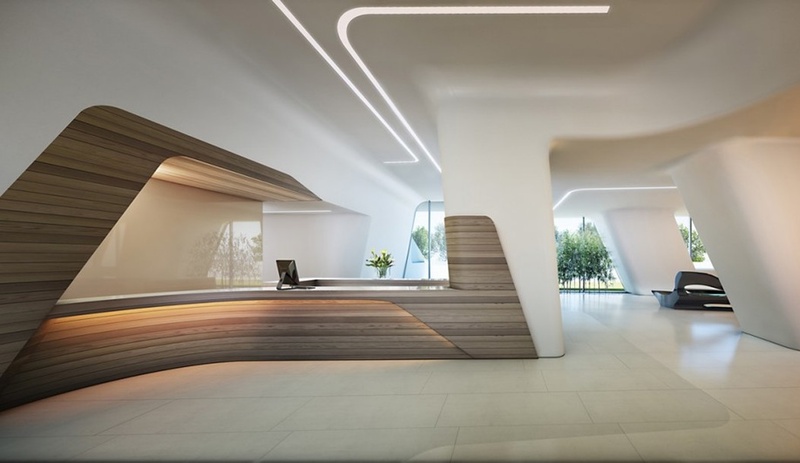 When completed, the CityLife development at the entryway to the FieraMilano district of Milan will comprise works by Zaha Hadid, Arata Isosaki and Daniel Libeskind, each of whom has designed both a distinctive tower and a string of accompanying residences. 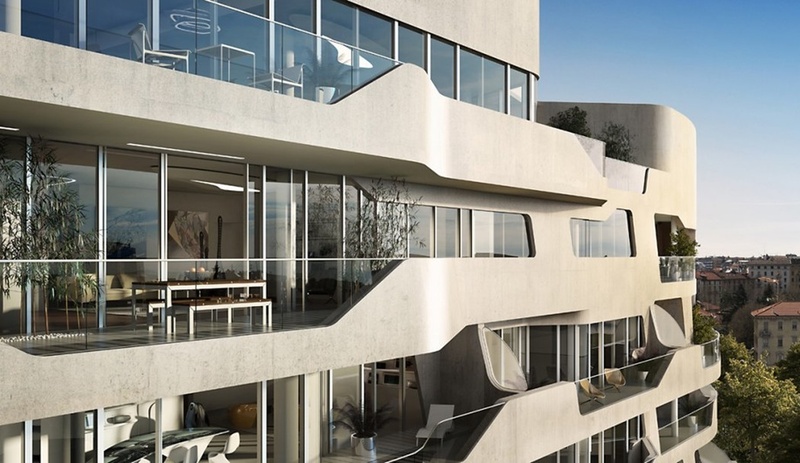 For her residence, Hadid stayed true to her Jetsons-worthy style, creating a snaking loop of mid-rise apartments with angular protruding balconies. The chain of structures loops through an adjacent park, dispelling the vertical energy of the tower cluster and creating a variety of outdoor environments for the residents to enjoy. If the town of Wembley, AB, is known for anything, it would have to be dinosaurs. 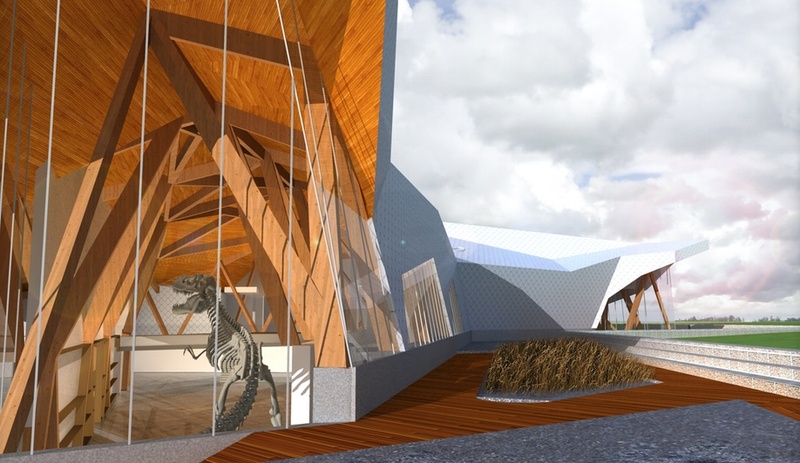 Opening in December, the Philip J. Currie Dinosaur Museum – a research and education centre named for Canada’s most prominent dinosaurologist – will be one of the world’s foremost on-site paleontology centres, situated on top of a mesozoic bone bed and surrounded by endless plains. 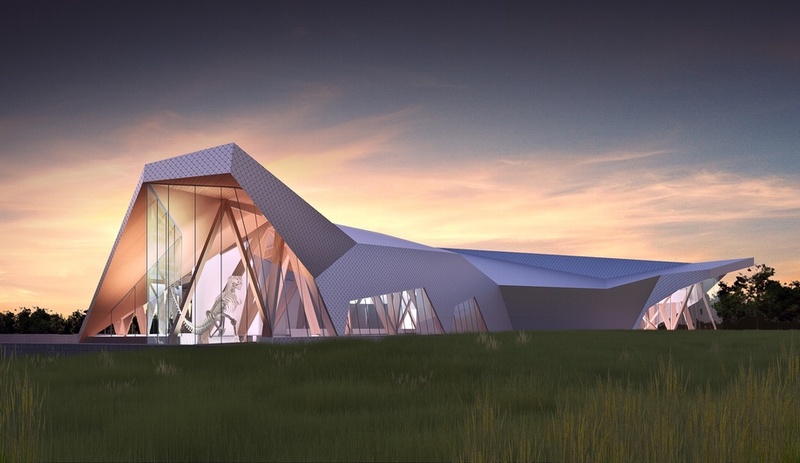 Inside the timber-truss structure, two classrooms, a theatre, a restaurant, gift shop and extensive exhibition space will be flooded with light via massive windows, including the soaring glazed entrances that cap the structure. Following years of fundraising, the project broke ground in 2013. With the introduction of the Netherlands’ new hygiene laws, open-air markets are a thing of the past. 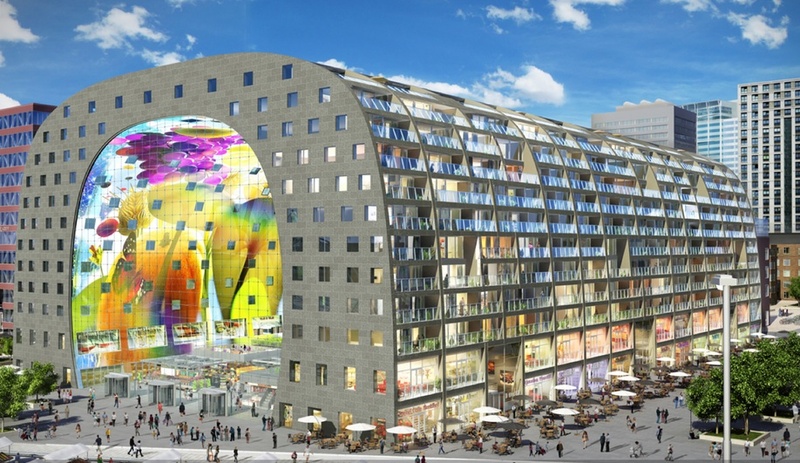 To preserve and expand on the market in the historic central district of Laurens Quarter, MVRDV conceived a tunnel-shaped mid-rise structure that arcs high over the vendors’ stalls and is enclosed at each end with a monumental curtain wall – the next best thing to being outdoors. Construction laws require exterior-facing windows in residential architecture, so the project’s density-boosting apartments face outward from the building, with their balconies overlooking the street. Kitchens and dining rooms occupy the inward-facing spaces, and overlook the market floor below through staggered windows. What’s on your radar in 2014? Leave your suggestions in the comments below.